The jet stream in the Northern Hemisphere has crossed the equator and joined up with the jet stream in the Southern Hemisphere. This is new behaviour, and indicates that climate system mayhem is ongoing. Our climate system behaviour continues to behave in new and scary ways that we have never anticipated, or seen before. Welcome to climate chaos. We must declare a global climate emergency. Please consider a donation to support my work and videos at my easy to use, Donate Button here, using PayPal. This entry was posted in Climate Change, Collapse, New Video and tagged Climate, Climate Change, Jet Stream, Jet Streams, Weather, z Bizarre, z Jet Stream Amplification. Bookmark the permalink. 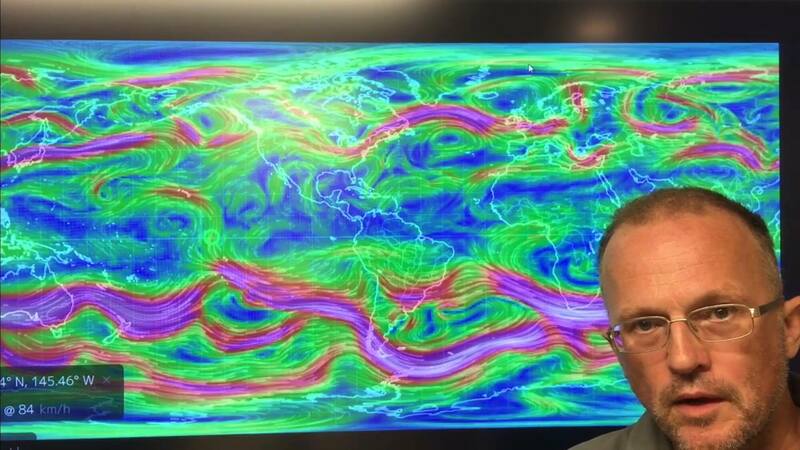 215 Responses to Jet Stream Crosses Equator, Unprecedented? Positive statements in the world of science generally don’t hold up well. In order to eliminate every possibility we would need to know everything about it. That’s why science has only theories and considers data to be evidence and not proof. Of course the heat comes from the sun, but that doesn’t change the fact that the main way the Earth heats itself is by releasing greenhouse gases (GHGs) to capture more of the suns radiation. I think we can both agree the Earth does not cause the sun to get hotter right? It’s well established that GHGs such as CO2 cause the Earth’s temperature to rise. Sometimes correlation is because of causation. You have to understand that it only takes a very slight increase in the Earth’s average temperature for greenhouse gases to be released. Whenever the sun gets slightly hotter, or the Earth’s orbit shifts a little, or some other cosmic event happens that causes a slight warming of the Earth, the temperature will rise first and thereby release the GHGs which cause a further rise in temperature. I agree with the concept of “positive statements” such as always and every usually don’t hold up well, but that doesn’t mean they can’t. For example, as of today and all of the research I’ve seen, I can state “Every research paper I’ve read to date, demonstrates deglacial warming is triggered by something other than CO2 increases, and that temperatures begin rising prior to CO2 increases “. Including the one you linked to. Exactly what scientists actually say in their papers is important, and often people interpret them to mean something that the scientists never actually said. For example, Shakun et al 2012 uses words like “support” “suggest” “may” “uncertainties” and “exceptions” and is far more nuanced than it’s title would suggest. Changes in planetary orbit force changes by tilting Earth so that it’s land masses get more direct Sunlight than it’s oceans or reflective ice sheets do. Since land masses are capable of heating up faster than oceans or ice, more exposed land mass getting more direct Sunlight means more of the Sun’s radiation is absorbed which causes warming. Warming Earth releases CO2 and water vapor and methane and other gasses from it’s land masses, it’s melting ice and it’s oceans (CO2 storage is greater in cold water vs warm, and ice locks it up ). These things enter the atmosphere again (where they were before) and slow down the rate at which the warming again Earth can cool itself by releasing energy directly to space. The ONLY WAY-hence the MAIN WAY, that Earth’s land and oceans heat is by absorbing solar energy from the Sun. Period. Warming Earth and oceans release MORE GHG’s which can then absorb more of the heat EMITTED by the Earth as it COOLS. Thus increased GHG’s do not “capture more of the Sun’s radiation” at all….they capture more of the Earth’s radiation. And in order for Earth to emit that radiation, it must be COOLING. It’s a law of physics that as the temperature of an object increases, so does the amount of energy it radiates back out, up to the 4th power of the increase. Warmer Earth=more radiation from Earth into the atmosphere that can be absorbed and emitted by GHGs. Is that a “positive statement”? Those don’t hold up well remember? Where has that been well established? Heat in the atmosphere is not “additional energy” that you can just mysteriously “add” to the Sun’s heat energy and magically make the Earth warmer somehow. The ONLY way that GHG’s can be heated in the first place is if the Earth GIVES OFF HEAT into the atmosphere FIRST. (and that energy MUST come from the Sun before that) When giving off heat, the earth MUST (by the laws of physics) COOL-and the heat enters the atmosphere. In order for the atmosphere to heat the Earth, earth MUST (by the laws of physics) be COOLER than the atmosphere. If the atmosphere transfers heat to the planet…the atmosphere cools. Earth and atmosphere EXCHANGE energy introduced into the system by the Sun….the atmosphere does not generate heat on it’s own (is not a heat source), and both Earth/Ocean and Atmospheric temps are driven by the amount of incoming solar energy the Earth absorbs and releases. And the affect of CO2 is logarithmic. This means that it takes greater and greater amounts of it to produce the same amount of increase over time. So let’s say that a global doubling of Co2 from 200 ppm to 400 ppm produces a 1C increase in global temps. In order to produce another 1C increase in global temps, CO2 would have to double again, but from 400ppm to 800 ppm. And the next 1C increase would require a doubling from 800ppm to 1600 ppm. One of the worst extinctions occurred at the end of the Permian Era. Scientists are STILL researching what caused it, but as of today, the most likely explanation is that an asteroid, of magnitudes larger than Chicxulub, hit the Wilkes Land region of Antarctica, causing an impact crater 500 kilometers wide now buried more than a mile beneath the ice. The impact was so catastrophic, it could very well be what caused Godwana to break up. There are still many questions that need to be answered. Such an impact should have destroyed everything in a matter of days if not sooner, and we know that the Permian extinction lasted at least a few hundred thousand years if not tens of millions of years. There is nowhere near as much evidence for it as there is for the Chicxulub impact. Well, I think we can both agree we have not been hit by a large space object in recent times, and yet here we are in the middle of the 6th great extinction. That rules a lot out. First, snowball earth is a hypothesis. Second, if greenhouse gases are so powerful, how did the Earth become covered with ice in the first place??? And why have Ice Ages started and advanced with levels of Co2 in the atmosphere in the thousands of ppm???? Ice and cooling appear to be more powerful than CO2 because they can overwhelm it’s effects. There are many possible causes of snowball Earth. Last I checked we know little about it. Possibly some cosmic event. Possibly some reduction in GHGs. I’d like to see your evidence about the ice ages starting when there is that much CO2 in the atmosphere. That last sentence is not necessarily true. For example our own GHG emissions have warmed the Arctic enough to trigger the clathrate gun. 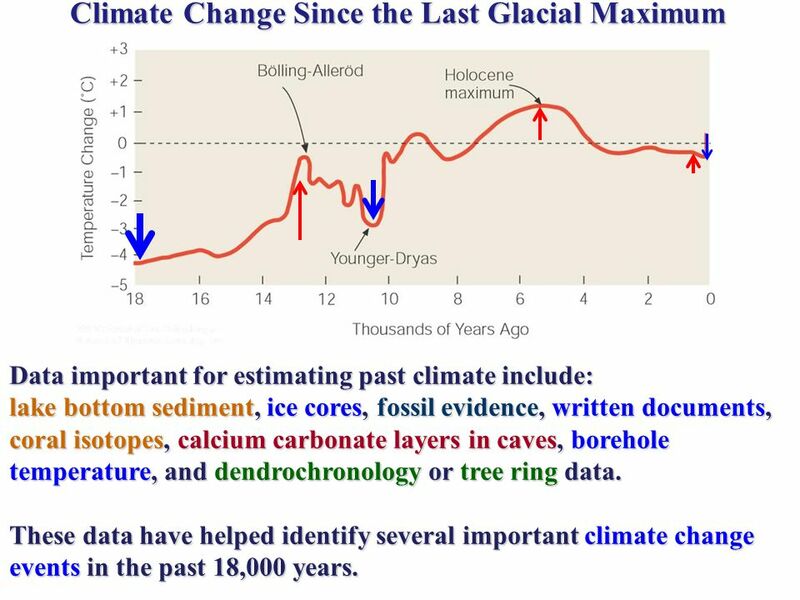 Correction, Earth has been heating up since the last glacial maximum 20,000 years ago, and long, LONG time before human emissions could have been the cause of the geological long term warming trend. And a good thing for us that it has. But we have ZERO evidence that this planet has calmed down to a point where none of those violent, climate changing, natural events cannot or will not ever happen again. To postulate that human emissions are controlling anything at this point, is simply a weak argument at best. Of course I beg to differ. The evidence is overwhelming. We have not been hit by any cosmic event to heat the Earth up in recent times. That rules out everything that we’ve identified so far except GHGs. Also, there have been times in the past 20,000 years when the Earth has cooled for example The Little Ice Age. It’s only a hypothesis, and a hotly contested one at that. Um…yes…yes it i s….that the Earth has been warming since the last glacial maximum 20,000 years ago! Human emissions don’t even come into play until 1880 at the earliest! The science is clear that the planet is now heating up far faster than 0.0007 degrees C per year. From 1750 until 2015 the global temperature rose 1 degree C. from 2015 until today it rose 0.5 degree C. In the face of such drastic increases it does no good to talk about averages. We have triggered runaway global warming. Arguing that the raising temperature means nothing because animals tolerate temperature swings every day just shows you don’t understand how temperature affects the Earth. The rising temperature leads to habitat destruction. Plants have a hard time thriving in temperatures much over 90 degrees F. Global warming leads to more extreme weather and ocean conditions that destroys habitat. This is all well known by now. Do you really need me to cite all that stuff? The old argument of “Anything can handle a degree or 2 increase” has long been refuted. Green house gases SLOW the rate at which the Earth can cool itself. That is a totally different scientific process than saying that GHG’s “warm the earth”. If you put a thin blanket over a dead/cold body laying on the ground, would that blanket be able to “heat” it? NO. Now put a heat lamp over that body simulating “day”. That body would warm up a little, but the blanket would actually STOP some of the warmth from the lamp from reaching the body. It would act like “shade” in a sense. Now, turn the lamp off to simulate “night”, the body will instantly begin to cool again, and the blanket will slow down that rate, but no one in their right mind would say that the blanket “leads to a warming of the body”. The evidence is overwhelming that GHGs lead to an increase in temperature. You know the science of how they reduce the heat loss from the Earth and still say it’s impossible. That’s not very logical. The “perfect” climate is the one that the species on the planet have adapted to. When we release the carbon that took the Earth millions of years to store in the ground in a few hundred years there are changes. To say otherwise is unscientific. I don’t get it. The very chart that you show refutes your own statement. 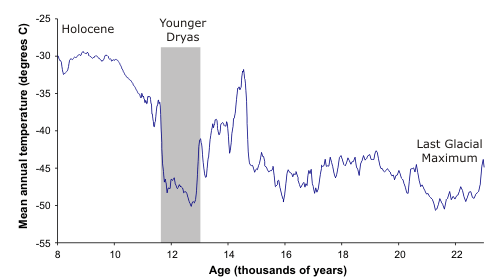 According to the chart the Earth started cooling about 8,000 years ago until about 3 or 4 hundred years ago when it began warming drastically. Look at Trump, Buffet, Gates and all these funny rich folks. They are just caricatures of themselves, caricatures of life, they are not real life for sure. What are they striving for with all their funny money ?! Gnahahaha, death will take it all away. And I like that. See all of you there. There can be no economic justice in an economy that is fundamentally unjust, and there can be no effective response to Climate Change without discarding that economy and dismantling the war machine that supports it. Corporate media reports on alarming climate change never mention the Pentagon. Newspapers and television stations run puff pieces on air shows like the Navy’s Blue Angels without noting that the jets from a typical show generate about 300,000 pounds of CO2 into the air. A photographer at the Great Maine Air Show in 2012 captured a runway covered with a wall of flames that organizers said was a “simulated bombing.” Carbon generated by burning napalm for entertainment? Unknown. Do you see the elephant in the room ?! It’s an ugly and huge elephant, protecting the system of doom from any grand scale change regarded to CO2 emissions reduction. No, you can’t have the cake and eat it at the very same time- unless you like to die of suffocation. THAT SIMPLE. THAT’S extremely funny and schizophrenic, isn’t it ?! 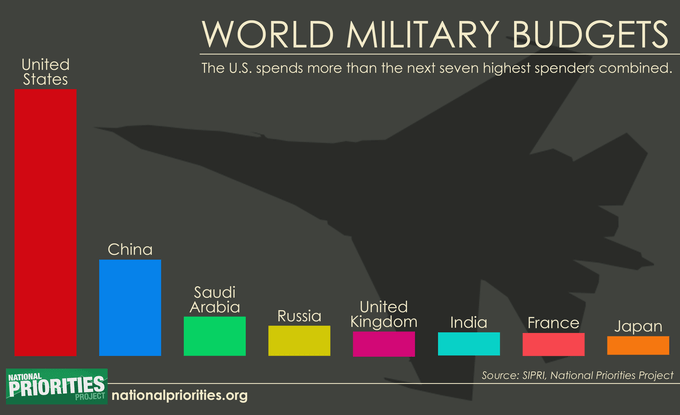 🙂 As long, as the military is running on oil, forget about any grand scale CO2 emissions reduction. That simple. Pingback: Caos climático por cambio en corrientes de aire ¿Falsa alarma? You can never have a clean, healthy environment through dirty politics, muhahaha. That simple. Do or die. The time to revolt has past. We needed it generations ago and didn’t get it. Now it’s too late. Revolting without knowing what to get out of it is foolish wouldn’t you say? Ray, don’t you think that those (like ExxonMobil), who missled the public about anthropogenic climate change willingly over many decades, got some little responsibility? Don’t you think, that those, who sold the future of the young generation and the coming generation for funny money, got some little responsibility? Don’t you think, that those, who commit CRIMES are responsible for their crimes? Do you REALLY want to defend ExxonMobil and alike? 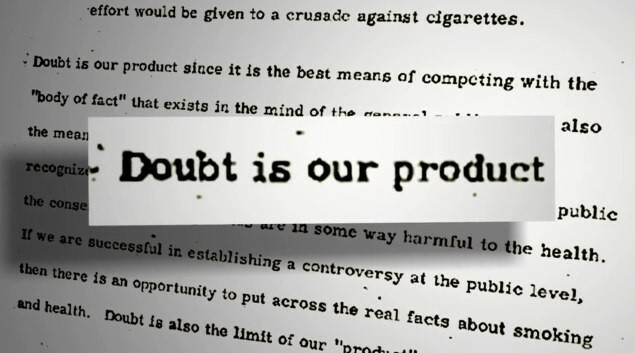 Have you seen the vid above about “ExxonMobil’s dirty secrets from Indonesia to Nigeria to D.C.”? Do you really want to defend such crimes by saying “what good will blame do now?” ? Do you? Then you will have to talk to James Hansen et al and you have to talk to the attorneys, who prosecute Exxon Mobil et al. See, talking to me about that crimes will surely not stop these guys from doing their honorable work, right? I am just a nobody without any money or power, so Exxon Mobil et al don’t have to fear my insignificant comments on some blog at all. What do you think are courts and prosecutors good for? What is jurisdiction good for? Is it for “not blaming anybody”? Well, Nemesis my friend, if I were dictator of the world things would be different. I would make it so that we have a separation between corporations and state. Allowing corporations to influence national policy when their only purpose is to make money is insane. And yes, the ones who led us down this road would be in prison. The thing is I’m not dictator of the world. It’s a matter of understanding that I have 0 power and 0 control over this. It’s a matter of protecting my state of my mind. That’s the wonderful thing about forgiveness. It heals. The wonderful thing about love is it fulfills in a way nothing else can. You can spend the rest of your life hating and blaming those who are responsible, or you can realize that it was never given you to do anything about it. Once you let it go it becomes easy to enjoy the good things that civilization brings us and let nature handle it in this world and God in the next. Ok, I see. You got peace of mind. Fine. Peace of mind is always a good thing, I can tell that from my very own experience. But what about peace of mind for the victims of criminal acts? See, you don’t answer to my burning questions at all. I see, so you equal prosecution of crimes with dictorship? Sorry, but the very school of the system teached a very different story to me. But again, you need to tell your statement to the attorneys ect, who want to prosecute the crimes of the fossil fuel industries, if you want to stop their investigations. I said that already. You can’t stop them by talking to me, that’s for sure. Exactly. I am sure, the managers of ExxonMobil et all are full of love and forgiveness (they just accuse/blame members of congress to brake the first amendment of free speech) and have always been full of love. But their prosecuters are not full of love, right? Grow up, make progress and take responsibility for your very own actions or die. You trust in god for love? Don’t worry, love will prevail. No, it’s more about establishing sound laws and enforcing them. The dictator of the world was just to show that I have no control over it. If you tie your state of mind to others you’ll never have peace for long. The thing you have to understand is that nature is a serial killer. No matter what we do it kills us. If fossil fuels had never been discovered we would go extinct like every other species. For example 70,000 years ago we were hunter/gathers. We lived in harmony with nature and nature killed us faster than today. Average lifespan was about 30 years old. Then, Toba erupted and nearly caused us to go extinct. So, this worldly experience that we are having has always been an impossible situation. Extinction is a natural event. We’ve always been damned if we do damned if we don’t. I’ve come to see this world as a pit stop along the way of a long journey. Let’s say I drove from LA to New York. Along the way I might stop off at a motel. I would want to be a good guest. I wouldn’t want to trash the place, but if the management had rules in place that could only trash the place, and so the place gets trashed, you know what, it’s only a motel. Those are not my rules, and it’s not my final destination. It’s interesting to note that when we look at the major religions and Spiritualities of the world they are all about going someplace better when we pass. None that I’ve heard of say live forever here on Earth. Our time here is brief. It’s no more than a pit stop. There are forces that we have no control over, and nature is an inherently impossible situation, so, why stress it? We have better places to be, and we will soon be back on the road again. To go on hating the management for trashing the motel makes no sense right? It was never about the motel. ” A serial killer is a person who murders three or more people, usually in service of abnormal psychological gratification, with the murders taking place over more than a month and including a significant break (a “cooling off period”) between them. Different authorities apply different criteria when designating serial killers; while most set a threshold of three murders, others extend it to four or lessen it to two. The Federal Bureau of Investigation (FBI), for example, defines serial killing as “a series of two or more murders, committed as separate events, usually, but not always, by one offender acting alone”. That does not apply to Mother Nature. Nature does not kill, Nature is no murderer. Death is an integral part of Nature, there would be no life without death. But there would be life without serial killers or murderers. Death is no murderer, Mother Nature is no murderer, but some human beings are. Yoh, might be. But that doesn’t go for me, as I am not hoping for any better place for me personally. To me, it’s all about up and down, breathing in, breathing out, like the tides of the ocean. To me, it’s about the Music, I am here, to enjoy the Music and participate in it. To me, there is no eternal life and no eternal death. Nobody will ever escape the outcome of his very own actions in the long run. You will reap, what you sow. So take care of the Motel, because you are a guest, not the owner. As I said, I don’t hate anybody. But the Motel has to be handled with Love and Care, if only for the reason, that one or another one might come back another day. Or maybe just for the reason of Love and Care. From a perspective beyond time and space, everything is OK. From a perspective beyond the Motel, everything is OK. But we have to take care of the Motel within time and space as well. We have to take care of our actions. Always. I sometimes have a hard time understanding your position. Nature kills millions every day but nature is no serial killer. You blame the ones behind the corruption, but if you had the power to convict them in a court of law you would let them go free. What am I missing? To excuse criminal acts of human beings by claiming, that Mother Nature is a killer, a murderer, makes absolutely no sense to me either. But it’s your very own claim, not mine. No problem, different people just got different viewpoints and worldviewes. We are and we get, what we do. That’s all I need, that’s all I want, that’s all I got. Back to my geetar, enjoying Music and Life. I don’t believe it is nature that gives life. Science has shown now that the physical is no more than a projection of consciousness. Also, I never said they are not to blame because of nature. I said it does no good to blame them because we have no control over it, and one’s state of mind is more important. I also said if I were in a position to I would send them to prison. We see these things in a different light I guess. That’s perfectly fine. Who can really make sense of insanity like this anyway? Without dignity, truthfulness and honesty, Exxon Mobil, their funny money and their descendants will go down with the rest of it. That’s why I did not procreate, because I don’t have any trust in Exxon Mobil, I don’t have any trust in the rich folks et al, lucky, lucky me 🙂 See, Justice always prevails, just like Love always prevails. What would you say is the point of this blog? Insanity by definition makes no sense. I would say treatment is mostly geared towards helping the client to make a better choice. For example I recall this lady who believed the FBI was out to get her. Long story short the doctor sat down with her and went over all the man hours and resources the FBI would had to have devoted to it. She soon realized that she had gone funny in the head and shotly recovered. I also remember Noam Chomsky speaking of the fossil industry admitting they have set out to generate confusion. I think the technique is to make your words look plausible then add in confusing statements. Not too much, same as when you are swinging an election result never make a landslide. I do find it suspicious that so many elections these days are won by a narrow margin. Thanks for the dignity song by the way. It’s the first time I’ve heard it. Exxon Mobil et al made a lot of money through insanity- funny money makes a lot of sense for insane people. I don’t think your reply is lost in moderation. I think it is just lost due to this malfunctioning forum. Why would any moderators flood the forum with all my attempts to get my reply posted? I have at least one reply that I posted yesterday that still hasn’t gotten posted yet. I will not make multiple attempts again because I don’t want another flood. Is Exxon Mobil to blame for STILL funding climate science denial groups or not? Blaming them does not serve me, so I don’t. There are people who get paid money to do it. They are and they get, what they do. They use Jurisdiction themselves, to paint their picture of Truth and they will get the Truth. They paint their picture of Justice, so they will get Justice. They live within the Motel, not ouside. They use the furniture within the Motel, they use the rules within the Motel, so they will get furniture and rules according to the rules and furniture within the Motel. Would you do so? And if so, what might your children say then? That’s a hypothetical. I figured out a log time ago I didn’t want to bring any children into this world. Such an idea is foreign to me. I did not procreate as well, because I don’t trust the system. But I care for the children of this world and I care for Mother Nature. Funny economic profit (colored papers, fiddling numbers) is incompatible with survival. But they will NEVER ever learn that, until we meet at the boneyard alltogether. You will go down with the rest of it ! See, avoiding to blame anthropogenic climate change deniers like Exxon Mobil et al, while hoping for substantial change and climate mitigation makes absolutely no sense at all. This is why reasonable people BLAME Exxon Mobil et al. Reasonable people CARE for the children and they care for Mother Nature. If you want to stop perpetrators, you need to BLAME them. My point is it’s not up to me to stop them. It never was. I see. Exxon Mobil et al surely would second that. What is Sir Paul Beckwith’s honorable, enlightening work good for, if nobody ever tries to stop the CAUSE of our planetary climate misery and if nobody blames the perpetrators, who STILL go on with their dirty business ?! I have no money and therefore no power, to stop the denial of the fossil fuel industries (so, please Mr. Koch et al, don’t be afraid of me, haha)- but at least, in the name of Love and Truth and Dignity, I can tell it like it is. Now, is that a violation of the freedom of speech, like Exxon Mobil et al tells us ?! Do I blame some folks by telling it like it is ?! Well, then I gotta blame some folks. Abuse of intelligence through sheer profit oriented technological exploitation, while supressing critical thinking and free, critical speech, is suicide. THAT’S the lesson to learn from history. Anyone surprised about terror groups like Boko Harum or ISIS? I am not surprised. I just have to think about, what happened and still happens to the african continent during colionalism and recent corporate-neo-colonialism. The situation in many african countries is a complete desaster, a constant situation of devastation, hopelessness and sheer horror. Most of the victims are civil citizens, as usual, not terrorists, not soldiers. Civil citizens get killed by terrorists and get also killed by soldiers or police. The Nigerian government has turned a blind eye to the people’s suffering, but instead has been ready, willing and able to aid western oil companies by brutally repressing those who would dare stand up for their basic human rights. The oil industry in the Niger Delta involves both the government of Nigeria and subsidiaries of multinational companies like Shell, Chevron, Exxon-Mobil, Agip, Total (formerly known as Elf) and Texaco (now merged with Chevron), with Shell being the main operator on land. The majority of cases reported and investigated by Amnesty International relate to Shell. The price for oil is not “only” anthropogenic, global climate change, but sheer murder too. Are we afraid of african terror groups like Boko Haram and ISIS? Well, maybe greedy, dirty exploitation of whole continents should stop, if we don’t want to see that terror spreading more and ever more over the planet until it’s at our very own doorstep. Runaway climate change is called out by people like McPherson for many years now. Yes, I know, he’d love to see that, humanity going extinct. You think it will be entertaining ? I see^^ Well, then this entire blog here would be just entertainment from now on and could as well be closed. Go and tell your opinion, that we are finished anyway, to the innocent children of this world, who did NO crime, like Exxin Mobil and all the other criminal suckers. Ah, no, you don’t need to tell that my children, as I have none. You can carry on this rant without me now. Goodbye. Btw: Schneiderman is the leading attourney against Exxon Mobil et al’s climate crimes as well. Pingback: Geo-engineering 101: De geschiedenis van klimaatmodificatie | Lang Leve Europa! Nemesis and Ray, music has a way of adding perspective and rest. For instance lyric ‘nothing lasts forever but the Earth and Sky’ from Dust in the Wind, sung in the perspective of today w knowledge of science from NASA Earth and physics advances since the digital age of snap 1-0. Back in year 1722, Benjamin Franklin egged those who jailed his Brother and Freedom of Speech:. founders.archives.gov/documents/Franklin/01-01-02-0015 Sky Clarity was IR OK.
Now at T minus 300 since the Trump-Russia conspiracy at Shadow -The Sky is infra red Trapping and Ocean pH is going acidic. Absolute nature of closed system thermodynamics applies Entropy. Absolute bearing of direction to undo Extinction 6 is to snap world enterprise to base Earth Real 2C where the work we do not do to harm Earth counts as positive and Star Industry Adjusts pH. The physical terms of heat transfer at law need to trump what is likely etched into DNA w Midas. We as a specie with our invention of Bank notes and Corporate have created a Closed // Universe where the self gratification of power blinds and creates a madness that is flat counter to Earth HZ.